Make sure you have changed your clocks FORWARD ONE HOUR and double checked your start time. Location: This is a new area for orienteering only a couple of km from Beechworth. 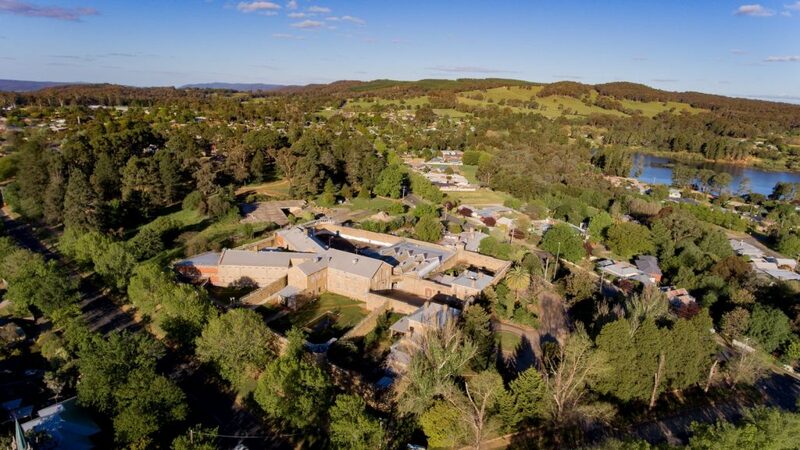 Terrain: This is a new map very close to Beechworth town centre and its famous old gaol. Terrain varies from granite and bare rock to open farmland to forested and low scrub, with medium and steep slopes alongside an open steep creek valley. For the longer courses there will be some steep sections. There are numerous fences throughout the area, so styles of various types will be used. Some paddocks with animals will be strictly out of bounds. Directions: Part of the single-entry road is very narrow so we have declared it to be one way ONLY. This means no exit will be allowed before 12.00 pm on the day of the event. Assembly Area: Large open paddock with plenty of parking and a separate area for busses. A wire fence will separate spectators from the competition area and the finish chute. Note: This event is a WRE for MW21E but not MW20E – IOF athlete IDs must be provided as a ‘service’ on Eventor at the time of entering. Registration: will be open from 8.30am. EOD registration closure time TBC. Assembly Area: Large open paddock with plenty of parking and a separate area for buses. A wire fence will separate spectators from the competition area and the finish chute. Courses: Courses are being structured to achieve middle distance winning times based on M21E of about 30-35 minutes. Will commence as soon as possible after last finishers about 12.30. For travellers relying on airlines it is about 1 hour to Albury airport and 3 hours to Melbourne airport.